Each morning, as you get up from bed, have a habit to drink a glass of hot (not boiling hot but as hot as you can swallow without burning your throat) or at lease a glass of warm water…. on an empty stomach before you brush your teeth. Drink it slowly, by sips if you can spare a few minutes. This help to warm up your internal organs and to ‘start’ off during the day. It also helped to clean up waste of your digestive track. During the course of the day, each time after you have taken a bath, drink another glass of warm water, to warm up your system. This is especially so for older people, who may be prone to cold, cough and weakened body system. The only time that you may choose not to drink hot or warm water is when your body is already very hot and heaty due to the weather condition. In that case, you may drink water of room temperature but not ice or cold water, please. Q: Are there any proof that this method works? A: This is practiced in the East. I myself personally does it every morning- it has helped me overcome stomach spasm or pain which I used to get years ago. Also, imagine this- your breath feels foul in the morning- and it is not from your mouth but the smell also came from your digestive track. By drinking water, it would help to wash down digestive waste….I strongly advoate you also take 2 green apples along with it. Q: Why can’t I replace it with cold or ice water in the morning? The sudden drop in temperature can also help me wake up. A: In order for our system to operate at optimal levels, it has to operate in 37 degrees celcius and not zero or close to that. If you ‘shock’ your system with cold temperature, it will cause imbalances- and you would notice you would be more surceptible to wind-in stomach, a horrible stomach spasm feeling, chronic digestive problem and acid reflux. Later it turns to joint stiffness, leading on to arthritis or rhemautism. Yes, there are sites out there who said that this is a hoax. But honestly, I do not see any harm in trying. 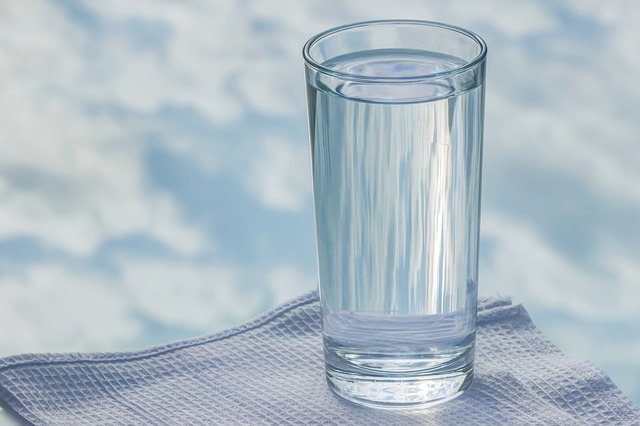 For most of us, our breath stinks first thing when we get up- does it not make sense to drink some water to help flush down whatever remaining of undigested or rotting food that could be sitting in your stomach or intensines? During previous years, I always suffer from stomach pain because I consume a lot of coffee. This simple tip had somehow drastically reduce my problem. It works for me…..and it is not something that requires tonnes of effort….I mean, how hard could it be- to keep boiled water in a flask and drink it the next morning?